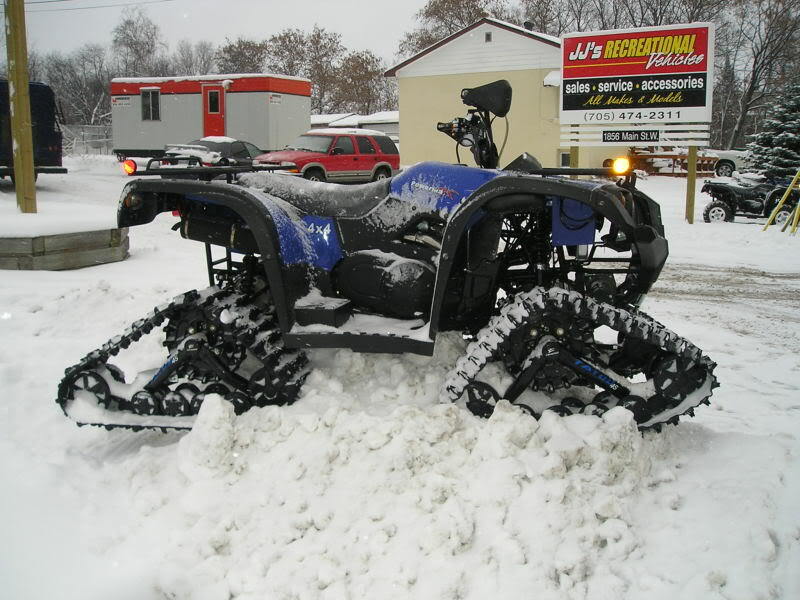 These are the Tatou 4 Season Trax on a Powermax Outlaw 700. 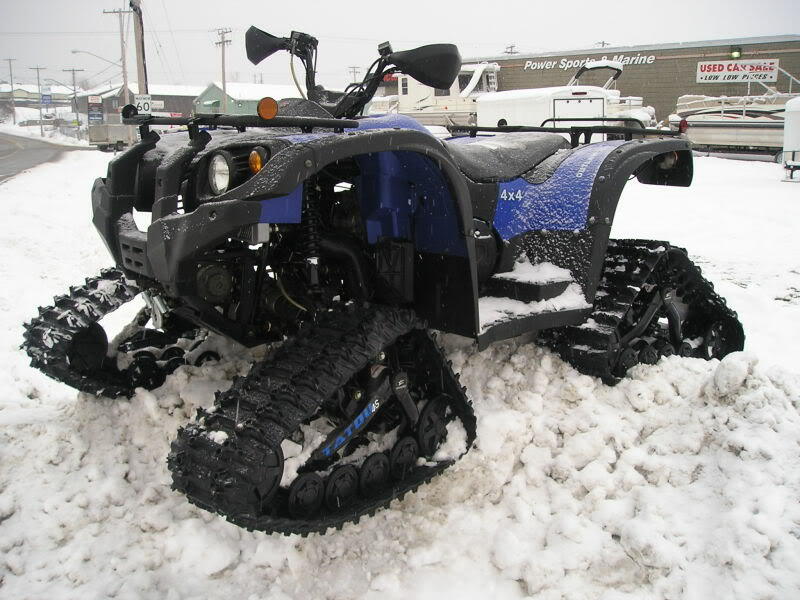 Looking at trax pictures of outlaw , Is there any trax for rough riders ?.Have just bought a 700 but looking ahead to next winter. You can buy the trax for the Rhino, But Powermax will have there own track kit by than at a much better price. So stay tuned for release and pricing. Yes it is real 110% , We will have some demo units in late July or August for testing by us only. We hope to have them for customers by September or October this year.